Lost Daughters: Thank you for Making #LivingLoudDC a Success! Thank you to Kevin Haebeom Vollmers who initiated, connected, and planned this event, and for lending his humorous and captivating emcee skills. Thank you to our partners for making the event possible, the Barker Foundation, Korean Focus, and Land of Gazillion Adoptees. Thank you to Ambassador Susan Jacobs for your powerful introduction to this event and for valuing and supporting adoptee voices. Thank you to Kathy Sacco, Special Assistant to Special Advisor for Children's Issues, for your help and support. Thank you to Superior Cling for your beautiful music and voices. Thank you to Busboys and Poets for your gorgeous space, delicious food, and amazing staff. 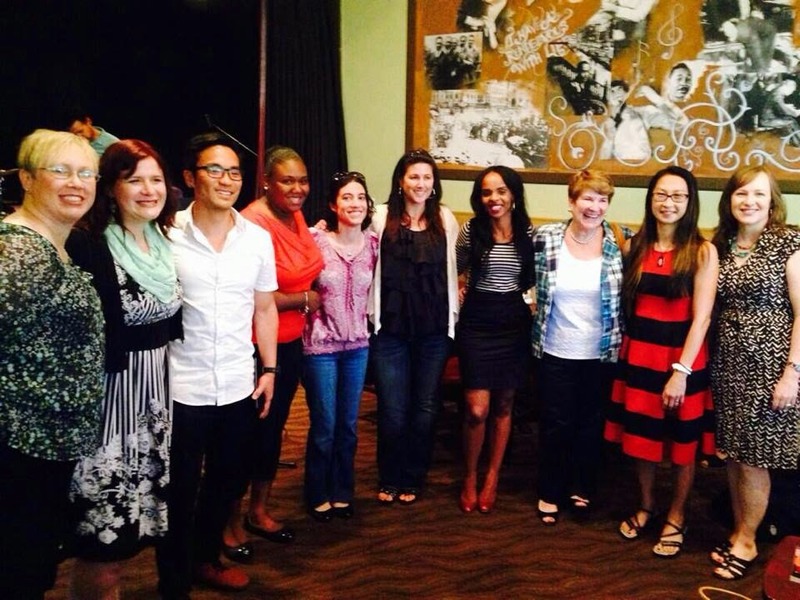 Thank you to our incredible authors who read from works such as Lost Daughters and The Declassified Adoptee. Thank you to our special guest, Amira Rose, for her incredible spoken word piece written specifically for the event, and to Lost Daughter, Aselefech Evans, for her original piece. Thank you to Rosita for displaying her beautiful pottery inspired by her adoption journey. Finally, we thank our audience--those present or with us in heart and spirit--for witnessing, supporting, sharing, and valuing our voices. Without all of you, this incredible event would not have been possible. Please stay tuned to our website for more follow-ups, pictures, and videos. Check out #LivingLoudDC on Twitter and Facebook.